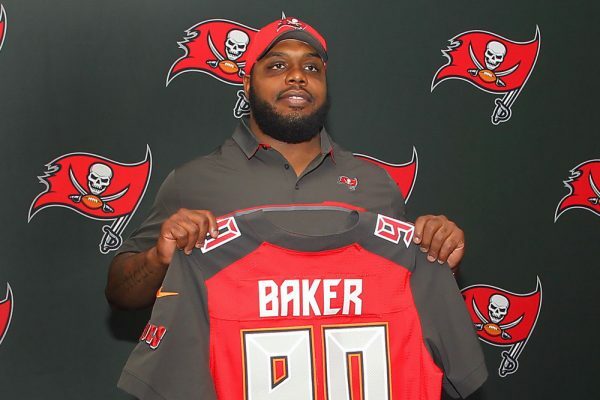 Teammates and coaches believe the effort of defensive tackle Chris Baker has been poor since signing a big free agent contract with the team this offseason according to Rick Stroud of the Tampa Bay Times. The problems surfaced publicly after Sunday’s last-second loss to the Carolina Panthers. .An ugly screaming match that erupted into a scuffle between teammates in the locker room over an offsides penalty by Baker that allowed Panthers QB Cam Newton to score the winning touchdown. Apparently, several Bucs players took issue with Baker smiling and lack-of-remorse attitude following the game. And word was leaked that Baker’s attitude has been poor in terms of effort since arriving in Tampa in March. Those comments echo reports from Baker’s former team the Washington Redskins that teammates and team officials were “lukewarm” on bringing Baker back for the exact same effort concerns. 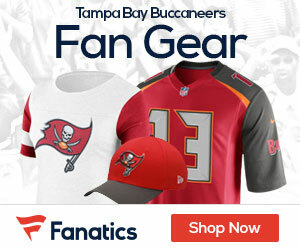 Bakers opted to sign a three-year, $15.75 million contract with the Bucs in March with $9 million in guaranteed money. To say that the Buccaneers have not gotten a lot of value from that investment is a massive understatement-32 tackles and only half a sack in 14 games. While the entire Bucs team has been a massive disappointment in 2017 and all of the blame cannot land on Baker’s shoulders, it would surprise no one if the 30-year-old DT was one-and-done in Tampa.